« Beloit Culver's Scoopie Night, Cranston Rd. Do you start every day with a snooze of the alarm and one too many cups of coffee? Do you always feel tired and unable to focus? This shouldn’t be a part of life and something you just have to live with. You may actually have a sleep disorder that is preventing your body from getting the rest it needs—leaving you exhausted and groggy. disorders team can get you in quickly for a sleep study—no referral needed. Plus, your results and follow up care will be handled right here in Edgerton. 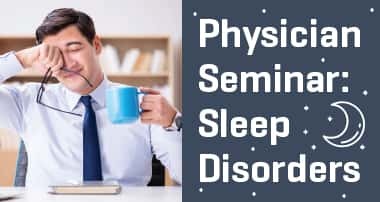 At this community event, our sleep specialists will discuss common sleep disorders like sleep apnea and insomnia, as well as treatment options.